The MU EIS is a compact device for differential Electrochemical Impedance Spectroscopy (EIS) with two and four electrodes measurement. The distinctive feature of this system is its capability for thermal stabilizing the electronic system and samples. This enables accurate differential measurements, where properties of two fluidic or organic samples are compared with each other. Such task appears in applications, where e.g. weak electrochemical changes should be detected. In four electrode mode, the MU EIS can be also used as a conductivity and potential meter for electrophysiological analysis. The signal scope mode is suitable for a distortion analysis of e.g. the frequency shift in organic tissues. The system is developed for single measurements or for a long-term monitoring with online graphical output in web. General applications are precise industrial fluidic measurements and differential fluidic meters in research/laboratory usage, detectors of weak electromagnetic and non-electromagnetic emissions by analysing electrochemical changes in fluids. Since the liquid samples are protected from temperature variations and electric fields, the device is suitable for the analysis of electrochemical properties by non-chemical, non-temperature, non-acoustic, non-mechanical and non-electromagnetic impacts on the sample liquids. Impacts of such factors can be investigated also during the experiment. These measurements are characteristic for analysis of weak interactions, in particular in research of certain quantum effects appearing in macroscopic systems. 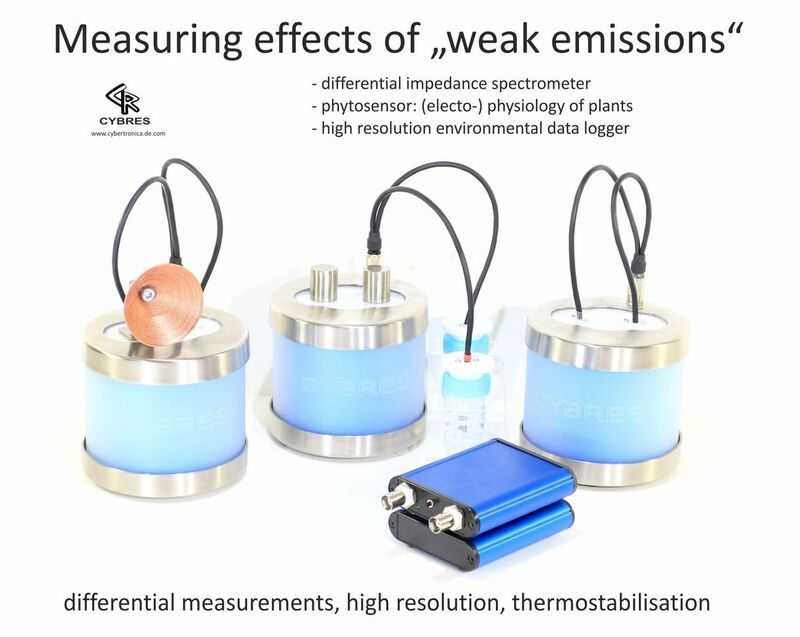 The device allows statistically significant measurements of these effects with the standard EIS method. 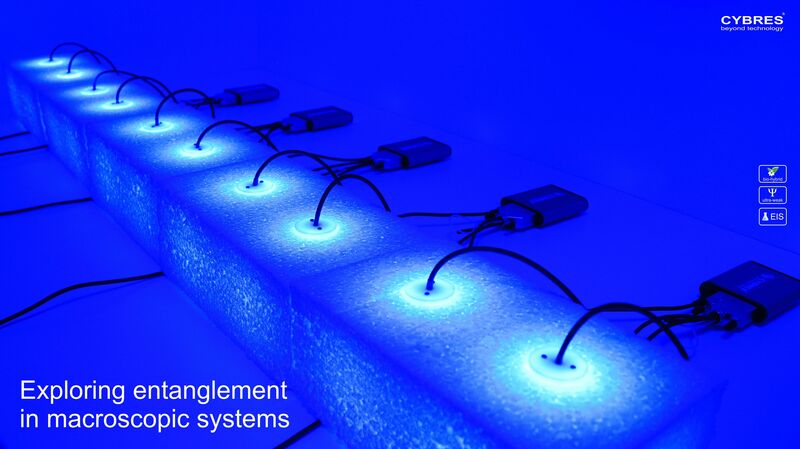 The MU EIS system is also designed for long-term monitoring of liquids and organic tissues, e.g. for quality control purposes, in the analysis of biochemical reactions, long-term monitoring of fluid parameters at constant temperature conditions. Used plastic containers: google for "Universal Kunststoffdose (Pathogefäss) 20ml"; it is available in multiple shops, ebay, amazon and so on.